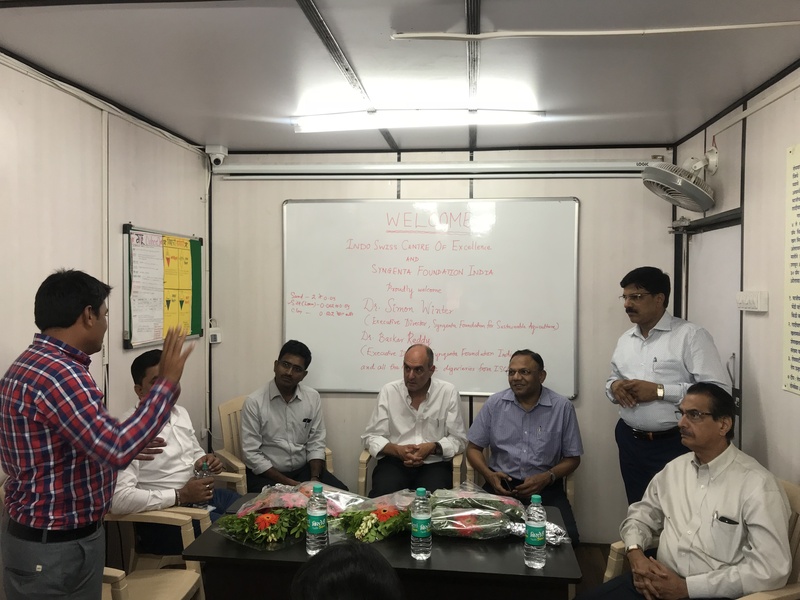 Our Director Simon Winter recently visited the ATA Training Center in Ahmednagar, India. He met a class of Agri-Entrepreneurs* (AEs) attending a course on technical knowledge and soft skills. Simon also toured the facilities and learned about the AE’s work on a new Soil & Water Conservation Model (s. below). 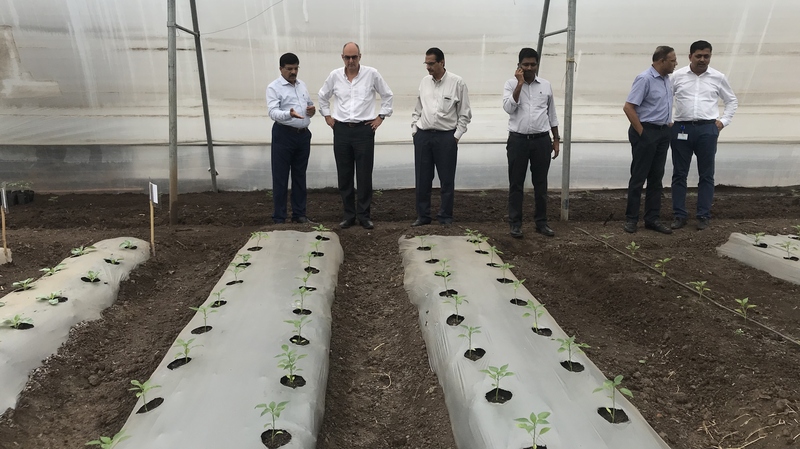 With him on the visit were several Syngenta Foundation India employees, including Country Director Baskar Reddy. The discussion brought everybody up to date on AEs’ current status and challenges. Simon heard how they have developed their business and become more sustainable. Participants confirmed that the ATA program and our Support Officers help them overcome the challenges. Some suggested further training on business topics, and additional support from the Foundation in linking up with banks. Following the discussion, the visitors examined the Soil & Water Conservation Model prepared by trainees as a group activity. The group also inspected the trainees’ seed, weed and disease “albums”, a collection of preserved samples. Watch out soon for some great stories from AE training graduates! * Smallholders’ one-stop partners: Agri-Entrepreneurs. 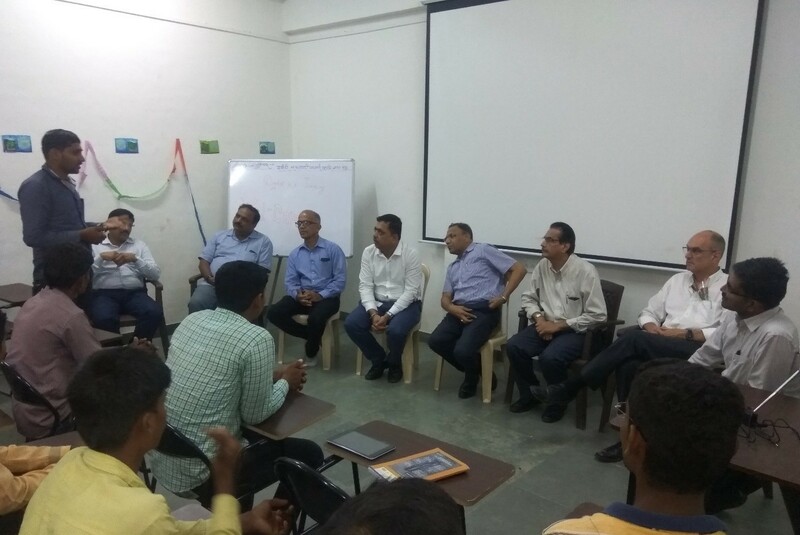 Syngenta Foundation India began its Agri-Entrepreneurs Program in 2014. The aim is to create employment for rural youth, increase farmers’ income and foster local agricultural development. - Till date, in July 2018, we have trained around 63 AEs out of which 55 have already started their business. Out of these 55 AEs, 32 AEs attended meeting with Simon. Most of these AEs have started their business before six months to one year. Few have just started since last 3-4 months ego.